The White House is considering nominating a retired general with little recent combat field experience to be the new commander of NATO and U.S. military operations in Europe, a senior administration official has told CNN. Several officials emphasized that no final decision has been made by President Barack Obama but also confirmed that retired Lt. Gen. Douglas Lute, currently a top White House aide, is a leading candidate. "This is a head scratcher," the senior administration official said of a potential Lute nomination. Several civilian and military officials made similar remarks to CNN but none would allow their names to be used because they were speaking ahead of the actual confirmation. "There is a sense inside the Pentagon that there are highly qualified, currently serving four-star officers with combat experience who would be very strong candidates." If there hasn't been a final decision yet then how can this even be news? he is a boot licker...no real combat experience...a politician. perfect for a nothing appointment...a political payoff. A puppet. And you can tell all of this from such a short articale? check this guy out...like I did...and then open your mouth. He's an independent thinker, who will not follow the established Pentagon line... REFRESHING! Bad idea...who are the fools advising Obama? The last few days have caused enough controversy and this nomination would just add fuel to the fire. The truth is he would probably be an excellent selection as the NATO commander is more about politics than military expertise. have you not read anything for the past six months? obama does not listen to advisors...civilian or military...he does as he wishes...he is the king. Exlax you are a moron. Jean, I believe calling exlax a moron is an insult to morons all over the world. I would suggest you quit demeaning that population or find yourself owing all of them an apology. LOL ...seriously, I'm so glad we have intelligent americans like you. President Obama is indeed the KING; unfortunately he has the grace to even listen to nut jobs like you, before he makes up HIS mind: THAT'S HIS JOB! Well, this is bad, bad, bad. There are so many wars going on in Europe at the momtn, we REALLY need someone with recent combat experience in Europe now, instead of in, oh, I don't know, Afganistan ? You sound like you were standing by his side to know all this. ol ex lax is in fine form diahrea of the mouth again. Not unusual for a repo. Nothing decided and lets wait and see why the president is concidering him. The complainers may all be repo or repo supporters. Now wouldnt that be strange. Maybe he brings something special to the table . @george... as always you speak, even when you have nothing to say. obama has proven he does not value advise from advisors military or civilian so he really don't care who he billets into these possitions... THAT IS THE POINT. He alienated Pakistain by taking out Bin laden when all his advisors said not to (except Pannetta, th clinton lackey)(we knew where he was and had for years). He sent a team into Africa again against advise from our people and others. He took us into Libyia against advise. He ignored advise from committees HE created to fix our economy. He is arrogent and foolish...and fools like you tell us how smart he is...and fact is there is NOTHING in his past that would indicate he is of superior intellegence...even his academic records are sealed to hide this fact (and other facts as well). Please get back on your meds... we have enough psychotics on this blog! All you ever seem to do is the same exact thing you accuse others of doing. You seem to be one very closed minded individual who is completely unable to listen. Your remarks are so predictable day after day that you might just as well paste in the same comments every post. 1. The man is RETIRED. No one on active duty is capable? 2. The man is a THREE STAR. This is a Four Star billet! 3. Little recent combat experience! This possible nomination makes no sense! oops Steveo, your "incoherent skirt" is showing. Let's say this nation actually discontinues prosecuting wars for the next ten years. Wouldn't that make about every general thereafter un-qualified, having no recent combat experience? Here's another hypothetical question; ...if by some wild stretch of the imagination this country begins to fight only the wars that need to be fought, much like deposing Ghaddafi in Libya (via recon ops, surgical strikes, drones and the like), the qualifications for any recent combat experience would have to, by its very nature change – NO??? While you are talking about maybes and future. I am talking about what is certain and the present.! We are at war now,the world is in chaos now, the Middle East is a boiling cauldron now, not in ten years but now! I don't mind you cheer leading the President Trace! At least do it when it makes sense! There are plenty of capable active duty 4 stars that are more than qualified! Again, this does not make sense! So much for the statement that Lt. General Douglas E. Lute is retired. Although he retired from active duty in 2010, he has remained at his position as Deputy National Security Adviser. 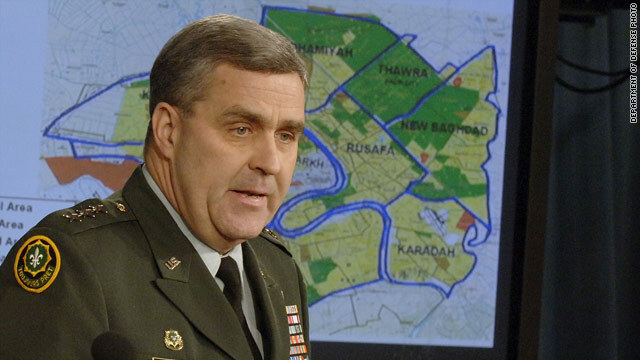 Lt. General Douglas E. Lute has been the Assistant to the last two Presidents and Deputy National Security Adviser, Iraq and Afghanistan since 2007. serving under both under Bush and Obama. He headed the National Security Council operation that brought down bin Laden. He is a graduate of both West Point and Harvard. Was Deputy Director of Operations European Command from 2003-2007. Commander Multi-national Brigade East Kosovo (2002-2003). He served in both Bosnia and the Gulf War. His wife Jane Lute is the Deputy Secretary of the Homeland Security Department. When Maj. Gen. Douglas Lute was Director of Operations at U.S. Central Command. stop with the facts Jean, you know the vapid critics of this president and any nominee he presents means nothing. Heck we even have independents like Steveo who have been so conditioned in believing they know what qualifications a person should have for a position, better than president Obama. I have come to the conclusion, President Obama actually knows what he's doing and knows far more about what personnel he needs to support his foreign policy ops, than someone like my independent (that leans GOP / R) friend Steveo. Unfortunately for Steveo, he's been conditioned to believe we should question everything Obama does, without having any inside intel regarding this administration's overall mission. I am glad this president does not find it a challenge to lead from the front or from behind....so long as he gets the job done with the least loss of American lives; the least amount of manpower; and the least expense. Frankly, I don't consider the leeches in Pakistan who were harboring our enemy worth the trouble of your or my concern....plus the same for Gadhafi who was a murdering thug. May I ask since you seem so concerned are you Pakistani or Libyan since you certainly don't seem to be acting much like any rational American? As for sending the seal team into Somalia during the State of the Union message. I doubt it was planned that way....but hey! That seal team had some great cover didn't they? You should rethink calling people who are rescued nut cases; since the two hostages you mentioned were working with a Danish relief organization removing landmines that could harm innocent African women and children. Which seems to me a very noble and worthwhile endeavor that would save innocent lives from harm by Somalian pirates. As for the demise of Somali pirates who were holding them hostage; I think your sorry for their loss is sadly misplaced.....or were they family members of yours? BTW the Danish negotiators were not having much luck freeing the hostages. They were very thankful that the President sent Seal Team 6 to rescue them. You not so much I guess? Jean2009, as much as you and Trace are fussing at folks for quoting Fox news, here you are quoting the Huffington Post! You can do better than that! He is retired from active duty, He is a 3 Star general while the NATO position is a 4star billet ("position" for you civilians) AND has little recent combat experience! One again ALL FACT! The NATO slot is a combat position! Once again FACT! Steveo is conditioned. OOPS no fact there, just speculation and rhetoric! You said my comments made assumptions! Oops again Trace, I stated fact! You are now 0 for 2! You mentioned Somali pirates! Oops yet again as that has nothing to do with General Lute and the NATO position! 0 fo 3! You mentioned I don't know the plans of thsi administration! true but since you don't either, I can only credit you for 1/2 point! So the final tally is .5 for 4, that is a 225 batting average! The minors with you, Sir! Let's end this on a positive note! You have a retired three star beiing nominated for an active duty four position! In the process jumping over active duty and well qualified four stars! I well understand there is a political element to the NATO comander's position! Whether Lute gets this position will have zero impact on my life! My basic question is why are no AD 4 stars thought to be qualified enough! (I based my comments soley on my military background, nothing more and nothing less). btw do you realize the NATO deputy commander (not American.. is a 4 star")? So if Lute gets this, he will have to get promoted or he won't be the commander! What you have failed to point out is this little quote from the story: "This is a head scratcher," the senior administration official said of a potential Lute nomination. You expect all of us to be in agreement when there is not even agreement in the administration! Come on dude! No doubt we are still buds, just with differing opinions! If we all thought alike , the world would be boring! Correction to my statement at 10:47. In addition, by charter, the NATO commander is ALWAYS an American. So, in saying that Lute des NOT have to be promoted to become commander. He is retired from active military duty! Nobody said he is not working! They normally float a name or two out before they decide these positions. It's way too early for this to even be in the news cycle.